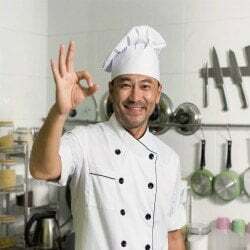 New Jersey Delicatessen Insurance. Delicatessens sell cold cuts, pre-cooked meats, prepared salads, soups, and baked goods. There may be a limited amount of fresh meat available for sale along with other grocery-type items. Most delicatessens have limited seating for on-premises consumption, but many customers order take-out items only. Many prepare their own products for sale, such as salads, soups, and sandwiches. Others process fresh meat by smoking or curing. 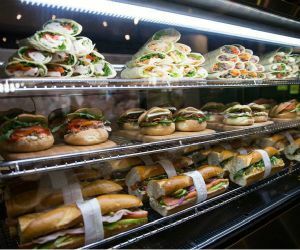 There are specific types of commercial insurance that are most important when it comes to owning a delicatessen, and then there are some additional options that you may want to consider as well. If you are thinking about starting a deli, then you are definitely going to want to know what types of insurance you need and what your options are. Let's take a look at the types of New Jersey delicatessen insurance that you might need to make sure that you and your company are protected. You may also want to go with a business owners policy. This is the second of the three important New Jersey delicatessen insurance policies. A business owner's policy actually bundles the general liability insurance that we discussed earlier with property insurance. Property insurance is important for any business that has actual premises where customers come. The BOP bundles property and business income insurance with the general liability insurance discussed earlier to give a comprehensive New Jersey delicatessen insurance package. There are some additional business insurance types that you want to be aware of when it comes to owning a deli in NJ. Whenever you have a food or drink business where you have to store items on site that may spoil, you might want to consider spoilage insurance. If a freezer unit goes out or some other incident happens that causes lots of inventory to spoil, it can be useful to have spoilage insurance to keep your business going. 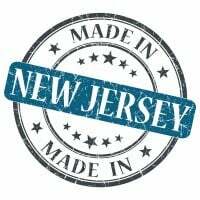 Request a free New Jersey Delicatessen insurance quote in Asbury Park, Atlantic, Bayonne, Beachwood, Bellmawr, Bergenfield, Bound Brook, Bridgeton, Camden, Carteret, Cliffside Park, Clifton, Collingswood, Dover, Dumont, East Orange, Eatontown, Edgewater, Elizabeth, Elmwood Park, Englewood, Fair Lawn, Fairview, Florham Park, Fort Lee, Franklin Lakes, Freehold, Garfield, Glassboro, Glen Rock, Gloucester, Guttenberg, Hackensack, Haddonfield, Hammonton, Harrison, Hasbrouck Heights, Hawthorne, Highland Park, Hillsdale, Hoboken, Hopatcong, Jersey, Keansburg, Kearny, Kinnelon, Lincoln Park, Linden, Lindenwold, Little Ferry, Lodi, Long Branch, Madison, Manville, Metuchen, Middlesex, Millville, Morristown, New Brunswick, New Milford, New Providence, Newark, North Arlington, North Plainfield, Oakland, Ocean, Palisades Park, Paramus, Passaic, Paterson, Perth Amboy, Phillipsburg, Pine Hill, Plainfield, Pleasantville, Point Pleasant, Pompton Lakes, Princeton, Rahway, Ramsey, Red Bank, Ridgefield Park, Ridgefield, Ridgewood, Ringwood, River Edge, Roselle Park, Roselle, Rutherford, Sayreville, Secaucus, Somers Point, Somerville, South Plainfield, South River, Summit, Tenafly, Tinton Falls, Totowa, Trenton, Union, Ventnor, Vineland, Wallington, Wanaque, West New York, Westfield, Westwood, Woodbury, Woodland Park and all other cities in NJ - The Garden State.